The Hawkeye State is as beautiful as it is underrated. From the big city buzz of the capitol, Des Moines, to the beautiful caves and equally beautiful national parks in America. If your travels take you to the state of Idaho, then there are plenty of things to do in Iowa. Here are our picks of some of the best things to do in the beautiful state. Pull out your weekend bag, and pack it with your favorite pair of hiking boots and a comfy down jacket. Here are some of the top things to do in Idaho that will have you feeling relaxed and having fun. If you are looking to get a glimpse of something strange and unusual, then you might get a kick out of visiting Elwood. Pop over to Iowa State University and you will be greeted by the world's tallest concrete gnome, Elwood. This giant fixture looms at just over fifteen feet. Currently, Elwood is in the rankings as one of the worlds tallest garden gnomes. Elwood’s fellow rival, an 18-foot gnome constructed in Poland beats him out by just three feet. During Elwood's conception (he was built in Wisconsin), the builders were too far along in the construction processes that builders could not stop to make him any longer. Okay, technically, he may not be the tallest. But, Elwood was able to save face with a little creativity in his name. You see, Elwood’s rival in Poland was constructed with fiberglass. Elwood, on the other hand, was created with concrete and rebar. So technically, there is no harm in labeling him the worlds tallest “concrete” garden gnome. After all, this would be accurate. It should be noted that if you would like to visit this fantastic structure, you will need to pay an admissions fee. For adults, the garden fee is nine bucks. As for seniors, admissions is $8.50. When you do visit, bring along your camera. This is a quite a marvel that you will want to snap and share with friends and family. Without a doubt, this is easily one of the coolest and best things to do in Iowa. Iowa is a nature lovers paradise. 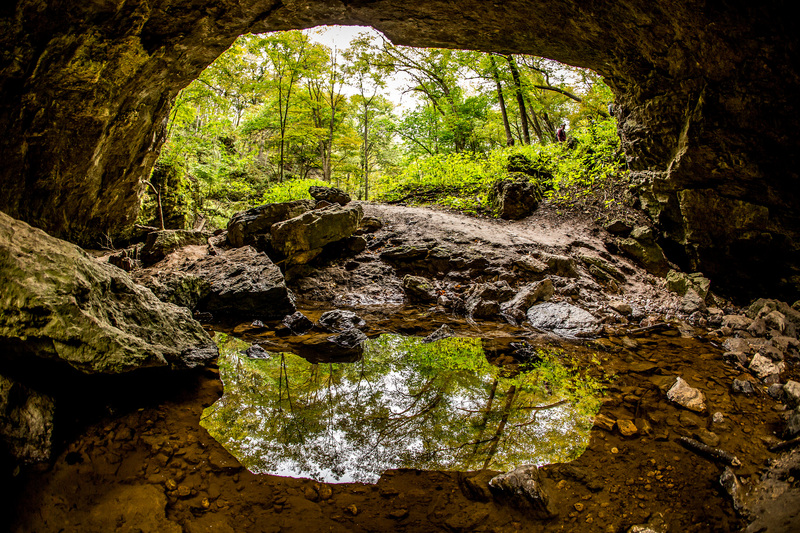 If you want to go out and explore the outdoors, then be sure to check out Maquoketa Caves State Park. The caves tell the story of early Native Americans that called this land home. The caves were first discovered in the 1830's by settlers. Since then, artifacts such as pottery, tools, and projectiles tell the story of its past inhabitants. There is plenty to do here at this beautiful state park. For starter, you can enjoy a nice day trip out at the park. Pack along a meal and enjoy a nice picnic in one of the many available shelters. You can rent the shelters ahead of time, or call one your own when you show up. If you are coming for a day trip, then don't forget to bring along your hiking shoes. There are some beautiful trails to take advantage of. One of th main highlights to look out for include the dramatic "Natural Bridge" that stands nearly 50 feet above Raccoon Creek. Also be on the lookout for other landmarks including "Balanced Rock" and "Dance Hall Cave"
Not only can you picnic and hike, but there is room for you to camp as well. The campground is nicely nestled within the wilderness of the beautiful, lush pines. Though you are camping outdoors, you can expect modern amenities including electric sites to charge up in. Not only that, but there is a shower facility so that you can stay nice and clean. With the camping, space can be reserved. However, about 25% of the camp is on a first come first serve basis. When you get to the caves, you will be greeted with limestone formations that will give visitors a glimpse into the past. There are plenty of different caves that you can explore, so you will need to come prepared. Some past explorers of the caves encourage visitors to bring along a flashlight and kneepads. While most of the caves can be accessed by walking, some caves will require you to get on your hands and knees. And of course, bring along comfortable shoes so that you can enjoy your exploration. Finally, this beautiful caves system is constantly seeing new construction. This allows visitors to have a safe and enjoyable experience. For a memorable and unique experience, exploring the caves is one of the neatest things to do in Iowa. If you are traveling with family and friends, then one of the best things to do in Iowa is visiting Adventureland Resort. Adventureland is a family owned amusement park located just northeast of Des Moines in the city of Altoona. This excellent thrill park has over 100 rides that offer plenty enough fun to last an entire weekend. Some of their feature rides include their largest wooden roller coaster, the Tornado. 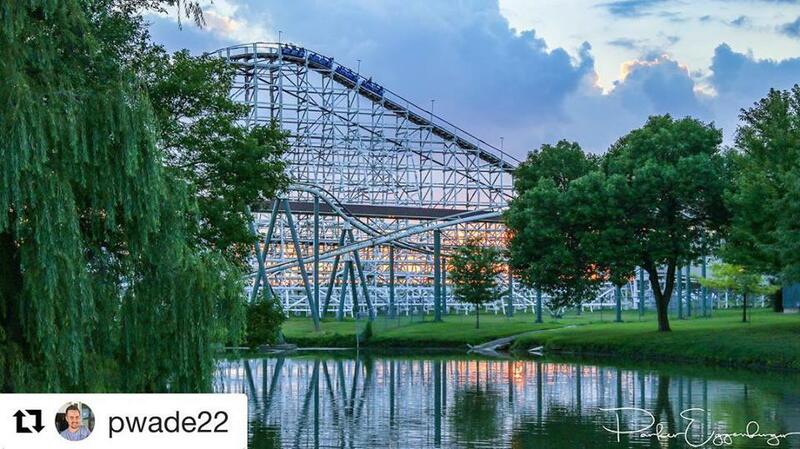 Be sure to take a spin on this ride because it was recently listed as one of the top ten wooden roller coasters in the world. There is plenty of fun for all types of travelers here. What makes Adventureland awesome is the fact that there are different themes to the park. For example, for children, you can check out some of the less intimidating rides. And for toddlers, there is even an area called Bernie’s Barnyard that will accommodate little ones just well. If you stroll over to The Boulevard, you will find some of the major rides including the Giant Sky Wheel and the open gondola Fariss Wheel. Some other major roller coasters that you have to get on include The Monster and The Outlaw. The twisty turns of these two coasters will have you zooming through the air with absolute glee. Along with the rollercoasters, there are other activities including the Wee Critters Petting Zoo, the Toonerville Trolleys, And the River Boats that you have to try out. For a magical night out that is full of fun and laughter, it is a must that you stop by and visit Adventureland Resort. Come during a summer evening and all the twinkling lights are sure to help you create memories that you will keep forever. Adventureland Resort is easily one of the top things to do in Iowa if you have the time. For lots of fun, this is one of the best things to do in Iowa. You do not have to be a history buff to enjoy the historic influence that Iowa holds. One of the coolest things to do in Iowa is to visit the Capitol Building. 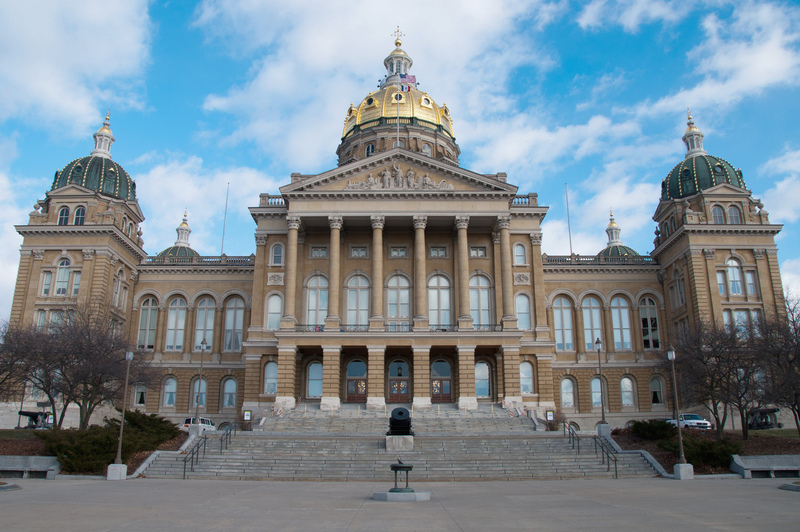 The Capitol Building is located in Des Moines and is home to the Executive and legislative branches of government that govern the state. When you get to the Capitol Building, you will immediately be blown away by its beauty. The grand pillars are topped by magnificent domes that make this building a sight to behold. Here is a fun fact for you; Iowa’s state Capitol Building is the only state Capitol building that is topped with five domes. When you get here, you can take your pick of a self-guided tour or a professionally led tour. Both are free which is great if you are looking to learn but are traveling on a budget. If you are planning a tour, you can conveniently meet on the ground floor near the rotunda to get on with your learning. While you are exploring the Capitol Building, be sure to stop by the Capitol gift shop. There are plenty of Capitol themed gifts and souvenirs that make for the perfect “bring back home present”. And if you are not interested in making a purchase, you can simply stroll around the Capitol ground. Here, you can observe several monuments that litter the grounds. Not only that, but you can soak in the panoramic view of the beautiful downtown Des Moines too. Sit back and enjoy one of the most relaxing things to do in Iowa. 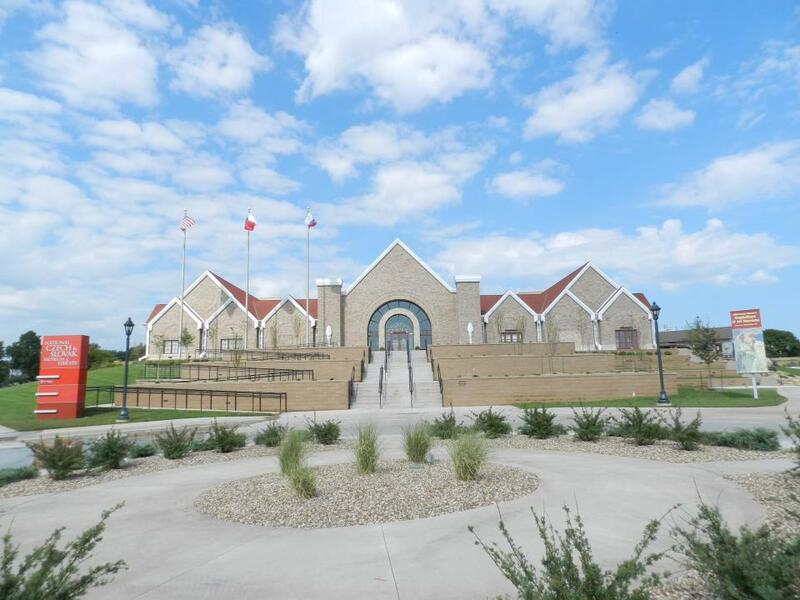 For a little bit of cultural diversity, you may want to make your way over to the National Czech and Slovak Museum and Library. The beautiful Museum and Library is one of the neatest things to do in Iowa. This is because it gives a glimpse of life from a different point of view. The Museum is located in Ceder Rapids, and conveniently so. Cedar Rapids is home to a large number of Czechs and Slovak Americas. Their history and culture are displayed in an immersive and educational manner. This display of knowledge is sure to expand your lexicon of diversity. One of the main goals of the Museum is to take a look at the many stories that Czech and Slovak people bring with them. Not only that, but another primary goal is to display how the past of this group of people has helped shaped their present day life as well as how it will shape their future. There are several exhibits that display the distinct features of what this group of people has endured. When it comes to the library, there are hundreds of books, film, and periodicals that you can browse through. The only downside, however, is that the library is non-circulating. Any materials that are there must be used in the library. If you ever find yourself in Cedar Rapids and want to learn more about the unique group of people that live there, then stop by this museum. The National Czech and Slovak Museum and Library is a wonderful place to spend an afternoon in. 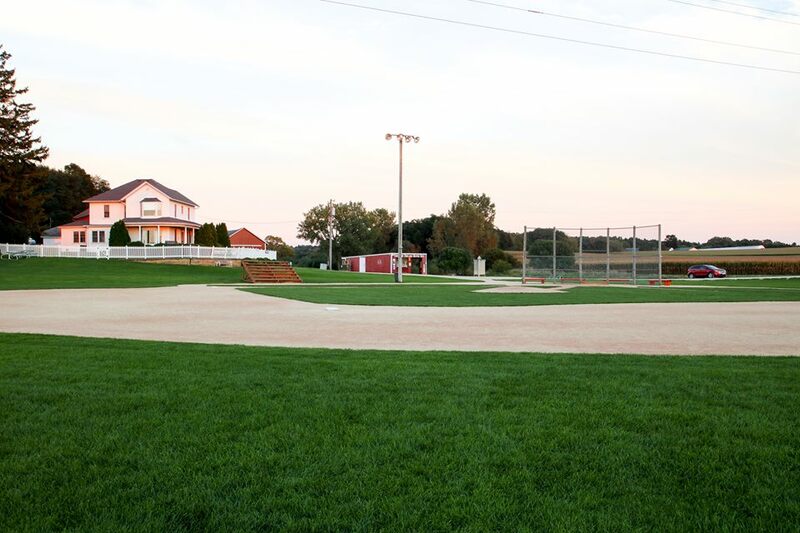 If you find yourself in this beautiful state, then one of the best things to do in Iowa is to visit the Field of Dreams Baseball Diamond. This iconic landmark is a baseball diamond that was built for the 1989 movie Field of Dreams. Lovers of this film have flocked to this field ever since the movie was released. We can’t blame them either. This is certainly a landmark that you want to check off your bucket list if you are a baseball lover. This iconic landmark is located just a few miles outside of Dyersville. Along with that, it is located right on the Lansing family farm. There are several cool activites that take place on the feild throughout the year. One such activity is the “Ghost Baseball Games” that take place. This unique activity generates a lot of buzz and is an awesome thing to witness if you can. In this series of games, players wear vintage uniforms that reflect the time period of the conception of the baseball field. Then, the players play a game of baseball. These games are played as a sort of tribute to the original theme and overall insperation that the diamond provides to all who visit it. There is also a range of other activities and games that take place on the diamond field. If you are planning to visit the field of dreams, then you will want to call ahead to see what all you can participate in. Finally, before you leave one of Iowa’s most iconic landmarks, it is a must that you stop by and visit the onsite gift shop. The shop offers a range of gifts, souvineres and memorabilia options. For any lover of the film or baseball enthusiast in general, this is not something that you will want to miss out on. This next iconic landmark in Iowa is one of the most beautiful things to do in Iowa. The Reiman Gardens is the most extensive outdoor garden in the whole state. The Reiman Gardens is located in Ames, Iowa. 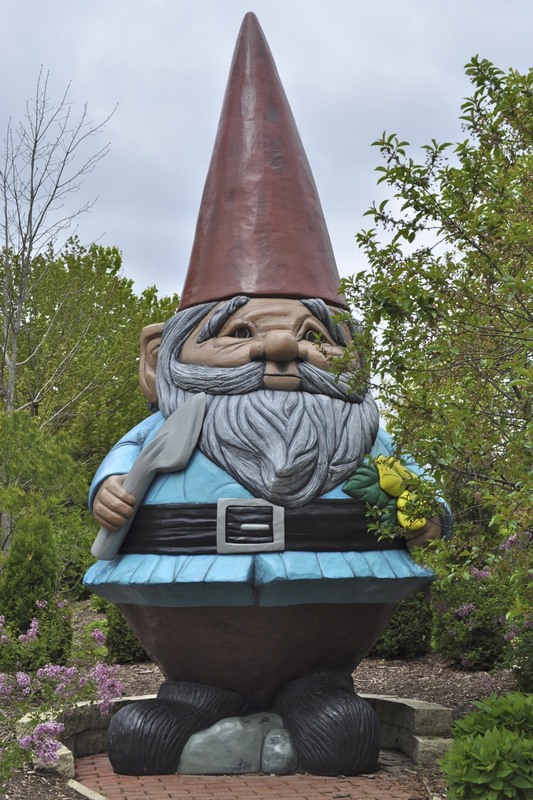 From flowers to plants to the world’s largest concrete gnome, there is so much to do that you will want to stay for the entire day. Start your day off by exploring the museum. It is here that you will find the 2,500 square foot Butterfly Wing. The Butterfly Wing houses an array of beautiful butterflies for you to get mesmerized by. Along with that, be sure to take a look at the emergence cases. It is in these cases that guests can take a look at caterpillars in the different stages of their life cycle. It's a pretty neat thing to see if you have always wanted to see how a caterpillar buds into a butterfly. If you are traveling with young children, then be sure to pop over the Children’s Garden. It is there that your little ones can have fun on the tumbling mounds. There is also a little “hideout” where they can have a fun game of hide and seek. If you are a traveler who loves gardening, then you will love the trial gardens on display here. There are also teaching presentations that will allow you gain a better understanding of gardening, landscaping, pest control, composting, and many other topics. If you would like to visit this beautiful garden, then make sure that you plan your trip properly. There are plenty of neat exhibits for you to explore. The Reiman Gardens website gives a detailed layout of the different exhibits that are on display. Finally, be sure to etch out enough time to comfortably stroll through the gardens. You will literally want to stop and smell the roses here. This is because there is so much beauty around you, you will want to do nothing but get lost in all of it. Whether it is gazing out at the field of tulips, or walking under a trellis of wisteria, the gardens have got it all. 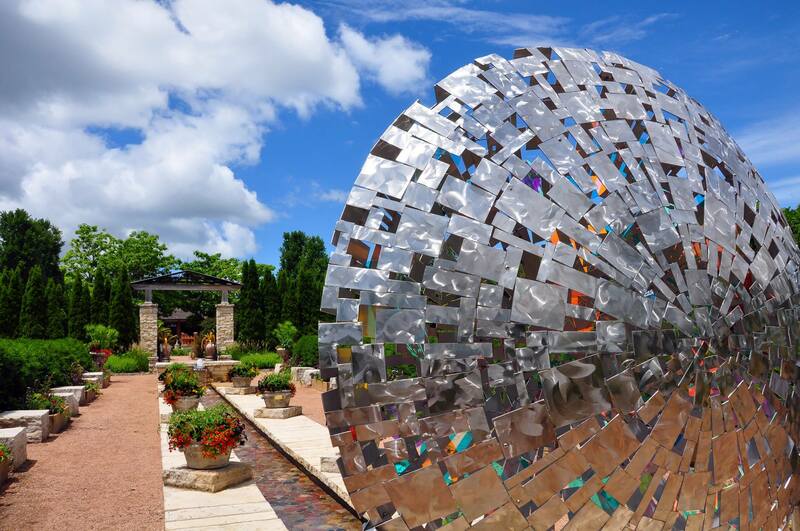 For a beautiful, relaxing day, the Reiman Gardens is easily one of the most tranquil things to do in Iowa. If you are a traveler, then there is nothing better than a nice, home cooked meal to come to after a long day of exploring. While you may not be able to get a home cooked meal while you are on the road, there is no reason why you can not get the next best thing. If you find yourself traveling to Iowa, one of the best things to do in Iowa is visit the Des Moines Farmers’ Market. The Farmers’ Market is simply awesome. This community market is home to over 300 vendors that take part in it each year. A beautiful thing about the Farmer’s Market is that you get to buy straight from members of the community. Your funds go directly back into the community to support the nourishment and growth of the people right next door. When you are a traveler, there is nothing better than giving back, so this is a great way to do just that. Unlike your traditional Farmers’ Market, the Des Moines Farmers’ Market has a great variety of traditional and non-traditional products for sale. Some of the best products vendors sell include locally raised meat, beef, pork, turkey and duck. There are also staple necessities including fresh eggs and milk. Finally, depending on the season, there are different types of produce available for purchase as well. Along with the usual items you can expect to find at the Farmers’ Market, there are other cool items to look out for. Come by and sample some homemade goodies including salsa, honey, and jam. There is also a range of artists who come by to display and sell their artwork. From wall artwork to jewelry to clothes, you are sure to find a nice gift or souvenir to take back with you after your travels. If you plan on stopping by, be sure to bring along a comfortable pair of hiking shoes or walking shoes. You will be up for hours walking around With so many people who come out to enjoy this beautiful market, you will be doing more than just browsing around. The Farmers’ Market makes for a great place go if you just want to do some good old people watching. Not only that, but it is an overall great place to get a feel of what it means to be a true Des Moines native. 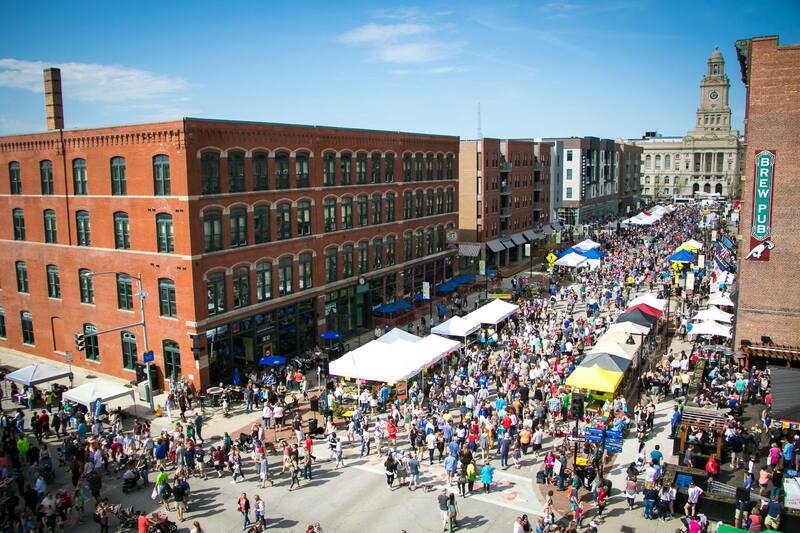 The Des Moines Farmers' Market is easily one to the best things to do in Iowa. Don’t take it from us either. The Farmers' Market was recently ranked as the number two farmers market in all of America. We can easily see why. The Farmers' Market is open every first Saturday of May to the last Saturday in October. If you find yourself in Iowa during that time frame, be sure to stop by. One of the coolest things to do in any city is to visit their most popular museums. When it comes to this state, one of the best things to do in Iowa is pay a visit to the National Mississippi River Museum and Aquarium. This museum has one goal in mind. The goal is to preserve the history and the culture of the American Rivers. You will find that this aquarium does an amazing job representing the many river ecosystems that exist throughout the United States. You will also find that a lot of their focus revolves around the Mississippi River as well as the Gulf of Mexico. This excellent museum is conveniently located in the Oort of Dubuque, Iowa. Not only that, but the museum is an affiliate of the Smithsonian National Museum. Right off the bat, you can expect to get an experience that is not of only interesting and stimulating, but educational and memorable too. There are so many neat exhibits to take advantage of when you get here. Because there are a range of exhibits that you can choose from, it would be best if you start planning your trip online. You can take an in depth look at their exhibits online and even purchased tickets for your trip online too. By planning out your visit before you go, you will have an opportunity to get the most out of this museum. When you do get here, you will want to make sure that you take some time to see the fantastic wildlife that is located in the aquarium. Plan your trip just right, and you might even get a chance to take part in feeding some of the fish. 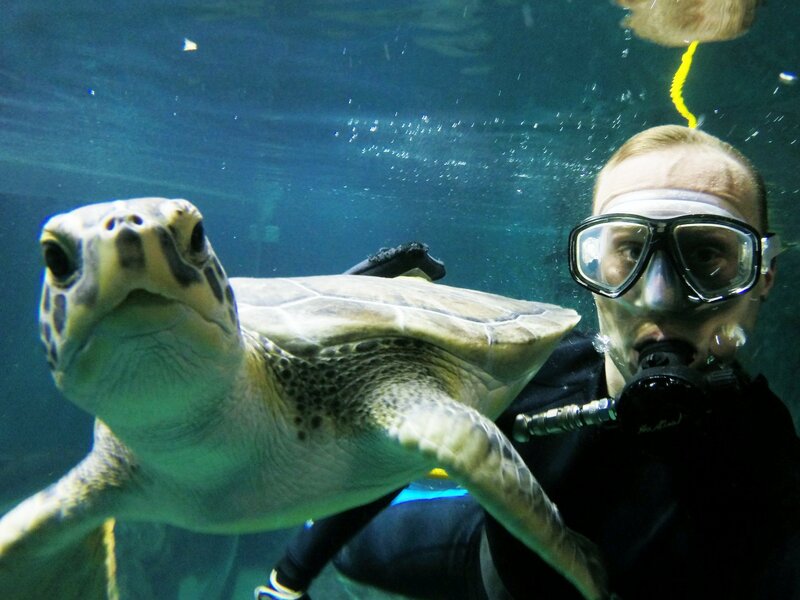 Guests can enjoy unique opportunities such as paddlefish feedings and stingray feedings You can even go to the Gulf of Mexico aquarium feeding to watch Dot, the adorable green sea turtle, and her turtle buddies get fed. Learn about the unique river ecosystems that exist all around us in this beautiful country. If you want to see only select exhibits, there are different pricing packages that you can choose from. Not only that but you may qualify for special pricing. If you are a member of the military, you can even receive a bonus discount on your admissions ticket. Although it is one of the coolest things to do in Iowa, make sure that you plan ahead. Planing ahead will ensure that you will really get the chance to enjoy this beautiful museum to the fullest. Iowa is certainly one of the most beautifully underrated states in the US. If you plan on trekking accross the country anytime soon, bring along this list. With so many fun things to do in Iowa, you may want to plan your vacation for a long weekend. Here's to great traveling!